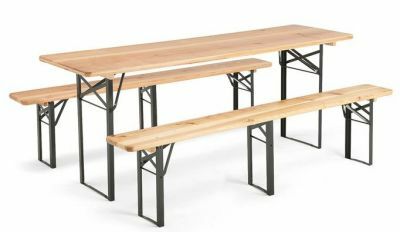 Folding tables and benches with moisture resistant tops and powder coated steel frames. Table tops are 25mm thick. Bench tops are 30mm thick. 10-15 day lead time. 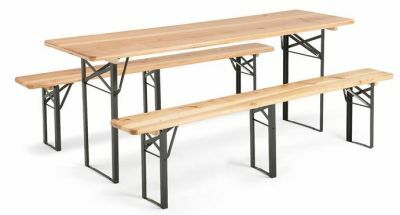 Popular beer garden range of furniture that can be easily folded away for storage purposes. 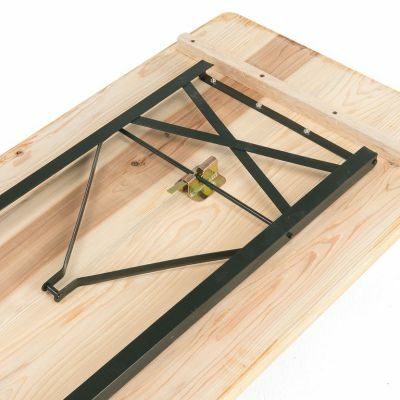 This range is factory made to order with a 10 to 15 working day lead time.